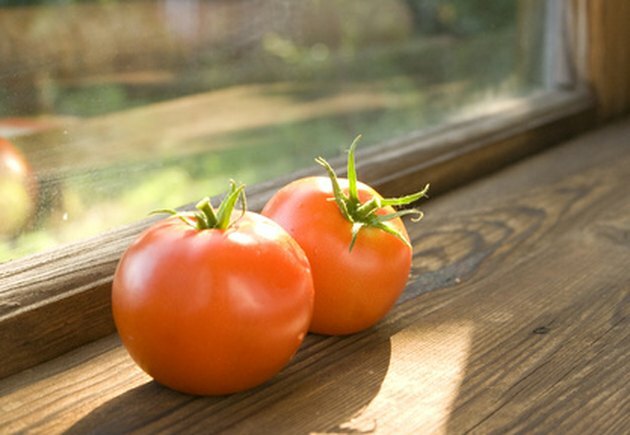 A windowsill is the piece of wood that runs from inside the window to outside the window. The inside can be called a windowsill or a stool. 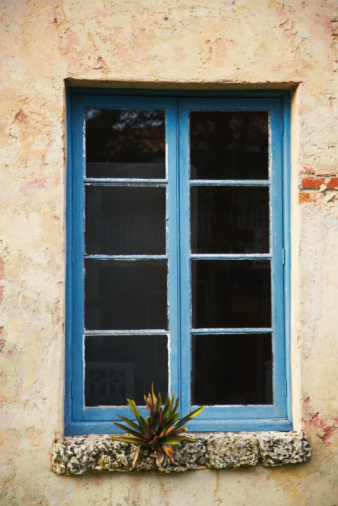 Today, modern waterproof materials are often used on exterior windowsills to prevent rot problems. Interior windowsills can also become damaged or rot over time, particularly if the window leaks water or doesn't seal properly. Replacing interior windowsills by homeowners is common and can be done in a few hours. Cut between the windowsill and trim to cut the caulk. Often caulk is used at corners and seams. Cut underneath the windowsill along the trim board that is beneath the sill. Slide a wide putty knife between the wall and the trim under the windowsill. Press the edge of the pry bar against the putty knife and under the trim to gently pry the trim away from the wall. The putty knife will act as a shield to prevent the pry bar from making a hole in the drywall. Remove the trim and pull any finish nails through the trim from the back side using pliers. Open the bottom window. Remove side window trim using the putty knife and pry bar. Wedge the pry bar under the sill and try to loosen the nails or sill. If necessary, set your circular saw to the depth of the sill and cut the sill in half without touching the window wood or metal. You may need to manually chisel close to the window with a wood chisel and hammer. Remove the sill in two pieces. Remove any remaining nails with pliers. Place your old window sill on top of your new wood. Trace the exact shape of the sill. Cut out the shape using a table saw and hand saw. Sand with an orbital sander. Test fit and sand until the new sill fits perfectly. Tap the new sill into place using a rubber mallet. Nail finish nails at each back corner and along the back every 12-inches. Nail a finish nail 1/2-inch from the inside window casing on each side. Re-install trims on the sides of the window and under the sill. Sink your nails with a nail set. Fill holes with wood fill and re-caulk all seams, corners and cracks. Remove all of the interior window trims and stool as described above. Remove all of the trim on the outside as well and remove the window. Use your circular saw to cut the exterior sill in the center. Remove the pieces and use them as a template. Buy exterior window sill that matches your old sill or cut your sill wood to fit. Install your new window sill. Fill any framing openings with loose insulation and cover with a vapor barrier. Use caulk and nails to install your new window sill. Use the old sill as a guide for nail placement. Install your window and use shims to make sure it is level. Install your interior window sill stool and all trims. Set your nails. Fill with wood fill. Caulk all seams, corners and edges.